We wave hello like this… with our friends in storytime, we wave hello like this. We clap hello like this…with our friends in storytime, we clap hello like this. We stomp hello like this… with our friends in storytime, we stomp hello like this. 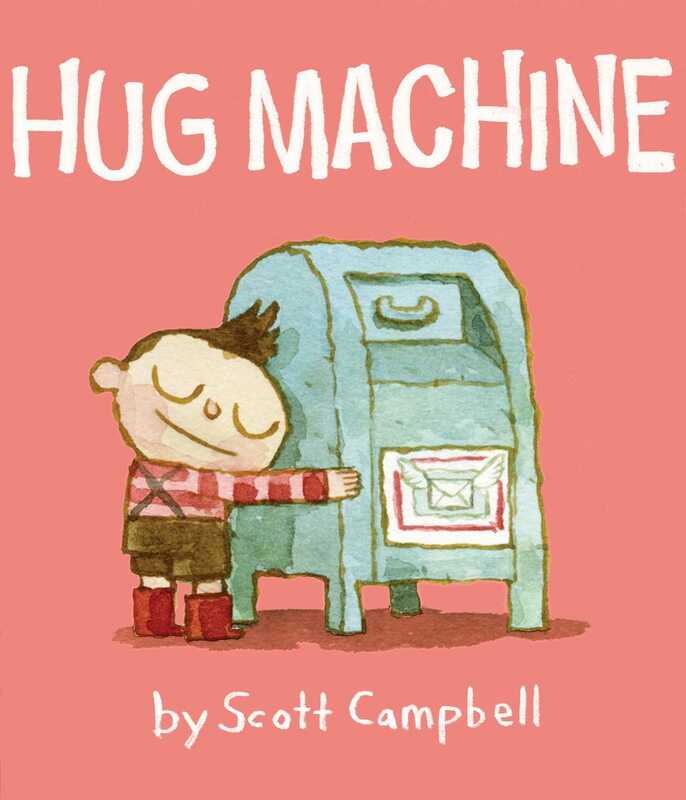 Hug Machine by Scott Campbell. One of the things that drew me to this story is how it tries to defy stereotypes, putting a boy in a pink book. And did I mention he loves giving hugs? He hugs his parents, his pets, and even random objects on the street. I think that’s what made this book such a big hit, even with the little boys (correction: ESPECIALLY with the little boys). It’s silly, and it also makes you feel great. This is a great book for valentine’s day…or any day, because it’s all about sharing love and joy! 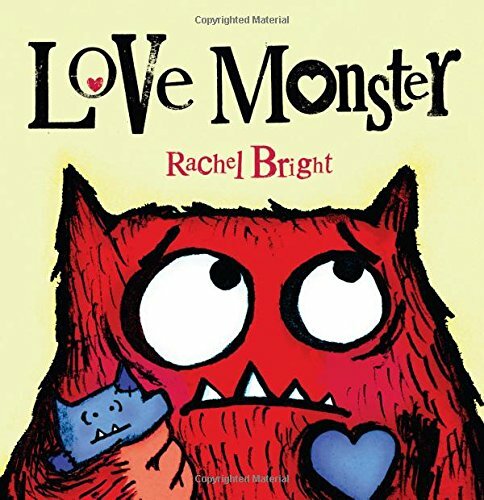 Love Monster by Rachel Bright. This is another book that puts two opposing ideas together. Love and monsters? Monster lives in a world filled with cute things, which makes him stand out, and not in a good way. So he goes searching for someone to love him. This worked well for storytime, because we did actions with monster (he looked high, he looked low), and also, even though the author tells you differently, monster is adorable. He really tugs at your heart strings. He even wears a little purple heart. This is sure to be a storytime favorite. My Heart is Like a Zoo by Michael Hall. We ended storytime by getting back to basics. Who doesn’t love the zoo? 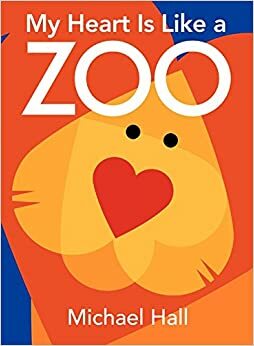 Animal books are always a hit with my storytime kids, and all the animals in this book are made up of heart shapes! The text is simple, so we spend more time enjoying the illustrations and talking about sounds that animals make. When your friends are my friends, and my friends are your friens. The more we get together the happier we’ll be! See my awesome mentor for Skokie Public Library, Holly Jin, teach this song in sign langauge. Skinnamarink-y-dink-y-dink, skinnamarink-y-doo, I love you. If you’re happy and you know it, shake your egg. If you’re happy and you knot it, shake your egg. We had a good balance of boys and girls today, who really got into the books and songs. I was a little wary of using Hug Machine, because I thought it might be too long or too pink, especially for the boys, but they really engaged with it. We talked a little before storytime started about what you do on Valentine’s Day, like giving presents or hugs, which lead nicely into Hug Machine. The shaker eggs were a hit, and the parents and kids also loved the sign language song. I did it once at the beginning and once at the end, and the kids picked it up quickly. Those who didn’t just clapped their hands, which was totally ok!